The event kicks off with fizz and cake, which allows time for chat and networking but ends on the more serious footing of a presentation which is squarely aimed at communities and businesses who want to maximise Linlithgow’s potential. It is being billed as a long-overdue online presence which will act both as a comprehensive listings service for key events in the town – and a means of ‘selling’ Linlithgow to the world at large. The trust has stated that historic Linlithgow is effectively missing a trick in the 21st century without this ‘must have’ tool which can act as a magnet for more visitors from all across the globe. Yet crucially, it is not just for tourists. Secretary and trustee Rebecca Holmes said: “LCDT has been asked for a long time to build such a site , both by community groups and via our last community consultation. “So it’s exciting to see it finally coming to fruition. Feedback had been that there was a need for an up-to-date inclusive modern platform for both locals and tourists alike. “The site will give the whole community a way to connect and support community organisations. 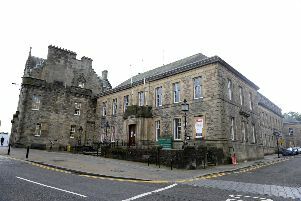 “Other towns such as West Calder and Pitlochry have implemented similar websites with great success.